Whether you are downsizing your home, in the process of moving, or leaving the country for a few months, it is important that you have a good temporary home for your belongings. Finding the right storage unit can be difficult. You want a self-storage unit that is safe, reliable, clean, and convenient. If you are looking for the best self-storage in Solana Beach, CA, look no further than Solana Beach Storage. Also known as 5 Star Storage, Solana Beach Storage is a locally owned and operated self-storage company that has been serving California residents since 1973. Solana Beach Storage not only offers clean, climate-controlled storage units, but we promise our customers safety and security when it comes to their possessions. We even go a step further by providing extra help storing your things. 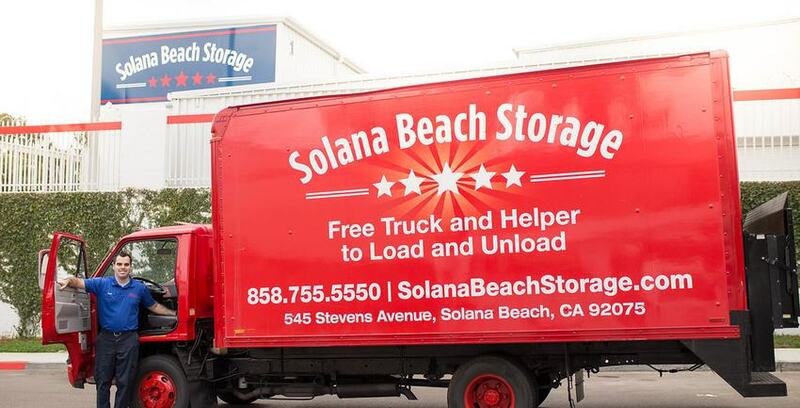 For each storage room rented, Solana Beach Storage offers a truck and man to help load and unload your storage room items. We also have an efficient team of eight managers available to help answers questions or resolve any issues, seven days a week. To help us serve people the best we can Solana Beach storage is conveniently located at 545 Stevens Avenue near Earl Warren Middle School. Come visit us today and find the right self storage in Solana Beach, CA, to meet all your needs!